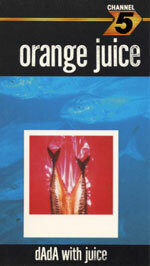 If you get a chance to see an old film of Orange Juice, from the mid-‘80s, called dAdA With Juice, then seize it. It captures a perfect moment in time. A moment when justice had deserted Edwyn Collins’ group, and Morrissey, his Smiths and other artisans, had stolen their thunder. The performance captured on the film is fantastic, and the line-up has huge historical significance featuring as it does the fatally photogenic John Britten (Johnny Britton) once of Subway Sect on guitar, and Paul Heard later of M People on bass. And somewhere in the film there’s Dennis Bovell goofing around in a studio. 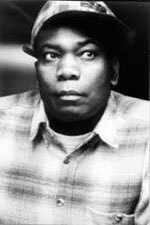 Dennis Bovell had a long working relationship with Edwyn Collins and Orange Juice. Edwyn I am quite sure asked Dennis to get involved because of his work on the great punk adventures like The Pop Group’s 'She’s Beyond Good and Evil' (which the Postcard circle called the ultimate punk record) and the Slits’ Cut. These records were important milestones, and were real indications of the punk urge to experiment and mix up musical ingredients to create something new. The groups may have been tumbling towards new ideas, but it was undoubtedly Dennis that made it happen. And no matter how we applaud the likes of Mark Stewart and Ari Up for their hunger and vision, the producer perhaps was taking bigger risks and straying into stranger territories. But Bovell made a habit out of that. Blackbeard or Bovell is one of the great British pop figures. Perhaps his greatest success came with Janet Kay’s 'Silly Games', an unexpectedly huge hit which sprang from the underground, and has remained a touchstone for perfect pop ever since, being also undoubtedly another very good reason Edwyn invited Blackbeard on board. 'Silly Games' was an exquisite piece of lovers rock, a peculiarly London underground strain of reggae which Bovell had played a major part in developing in the late ‘70s. If conscious roots reggae, and the wonderful sounds it produced, was the music pouring out of Jamaica at the time, as a very male thing it missed a huge swathe of the black British population who had grown up with Top of the Pops, Motown, the Sound of Philadelphia, and soft soul ballads. Bovell was one of those astute enough to join the dots, and see the potential for mixing homegrown female voices with sweet melodies and reggae rhythms. The results were spectacularly successful, and still sound fantastic. The enduring appeal is doubtless something to do with the ludicrously low recording budgets, the speed at which these records were produced, and the enthusiasm and inexperience of many involved. Even on the most successful of records like Janet Kay’s 'Silly Games' and Carroll Thompson’s 'Hopelessly In Love With You', the sound is so minimal, the vocals endearingly frail, and the instrumentation experimental. One of Bovell’s close colleagues on the lovers rock scene was guitarist John Kpiaye, who had some years earlier been a member of The Cats, whose hit rocksteady rendition of 'Swan Lake' was a British reggae first, and eerily prescient of PiL’s appropriation of 'Swan Lake' for 'Death Disco'. While we’re on the subject of lovers rock, you have to have the Bovell-produced 1979 set Love Affair by Marie Pierre, because it has everything. I’d argue that Bovell was much more of an important player in British reggae circles than even the Mad Professor and Jah Shaka. Maybe just because of the odd places he ended up. Reggae historians will explain the significance of Bovell’s role in the sound system Sufferers Hifi and the group Matumbi. And an EMI salvage programme in 2006 has highlighted the glorious diversity of Bovell’s output over the years. There are some wonderful stories about the lengths he’d go to get his early work accepted by the British reggae fraternity, which was as snooty about homegrown roots sounds as the mods had been about British blue-eyed soul. Hence some of Bovell’s superb sets as the 4th Street Orchestra were craftily disguised as JA imports, but there were enough telltale experimental signs to give the game away. The reissue of Bovell’s 1978 Strictly Dubwize set comes with a reproduction of a Sounds article by Vivien Goldman which is a step by step guide to making a dub recording. It’s an important point. Journalists like Vivien, Penny Reel at the NME, Eric Fuller at Sounds, Kris Needs at Zigzag played a vital role in making information about new reggae music freely available in a very natural way. And you’d hear plenty of reggae on the John Peel show, and more local specialist shows like David Rodigan on Capital and Tony Williams on Radio London. And as for the punk/reggae crossover, well the credits on the Bovell reissues include Lora Logic and Bruce Smith, so that sort of speaks for itself. The big thing that comes through on these salvaged sets is Bovell’s boldness at throwing everything into the pot, as befits someone who has worked with everyone from Fela Kuti and Riuichi Sakamoto to Bananarama and the Thompson Twins. Intriguingly Bovell played a key part in the early days of the On-U organisation, directing the sound for example on the early pioneering Creation Rebel sets for Adrian Sherwood who most definitely learnt a lot technically and spiritually from Bovell. The On-U connection can be heard on the now expanded soundtrack to the Babylon film, where Bovell lets his Bernard Hermann aspirations creep in and flavour the score in a way that’s totally beyond the reggae norm. Edwyn Collins and Orange Juice have been plagued by people purloining the least interesting aspects of the group’s sound (the jangling guitars and cheeky chappy persona), so it’s easy to see the sense behind choosing Bovell as producer and partner to add some dissonant nuances to the sound and get what was always a contrary career back on track. Bovell’s involvement with 'The Bridge' and The Orange Juice sets was incredibly important, and no doubt is a vital factor in their staying so fresh down all the days. On a more fundamental human level the relationship between Bovell and Edwyn continued, and they both were involved with Vic Godard in the early 1990s as another of the great British pop figures flitted briefly back into the spotlight. Vic was a great reggae fan anyway, and it’s intriguing to think what might have happened if Bernard Rhodes had the perspicacity to point one of the Subway Sect incarnations in Blackbeard’s direction. 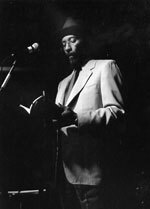 In a bizarre way Vic’s way with words would have been as perfect a vehicle for Bovell’s dub workouts as his long association with Linton Kwesi Johnson. I absolutely love the idea that a man who gave us a reggae version of 'Surrey With The Fringe On Top' would have been more or less contemporaneously providing the music for LKJ’s 'Dread Beat An’ Blood' and 'Forces of Victory', which are still sharp and confrontational enough to stop listeners in their tracks, and again Bovell was central to the development of dub poetry, another UK response to reggae possibilities, with the ramifications still reverberating with MCs like the Spaceape chatting over dubstep sets, and sounding incredibly like LKJ.